Attic storage conversion cost Perth. Are you looking at getting some attic storage to your Perth home and wondering how much it would cost you ? 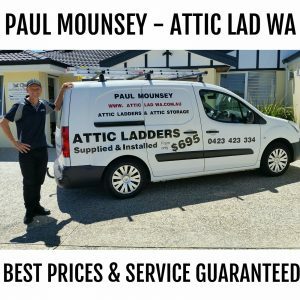 Attic Lad WA specializes in installing affordable attic ladders and attic storage across Perth WA. The cost of Attic storage varies between companies depending on their operational cost and other factors. However, Attic Lad WA will always strive to provide you with the best value and services while keeping the cost of installations down. The way I do this is by buying my attic ladders in bulk direct from the manufacture. I don’t employ high pressure salesmen. I don’t have a showroom and lots of staff and I am the only person you will deal with from internal inquiry until your attic ladder or attic storage is installed. 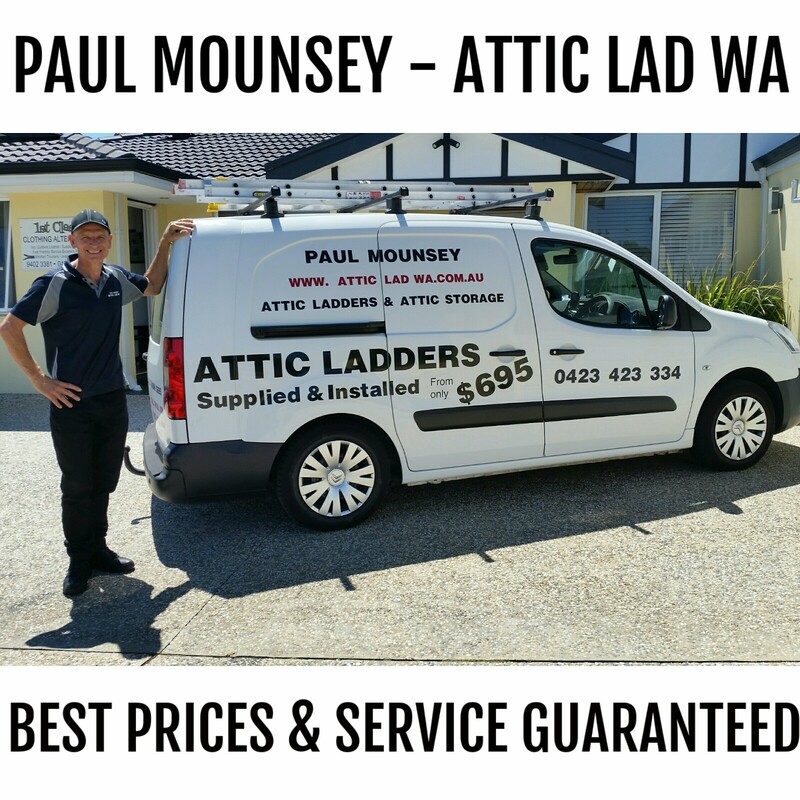 That’s why at Attic Lad WA I can install you an attic ladder from only $695 or 12 square meters of light attic storage from only $1600. At Attic Lad WA, my prices are very affordable. My attic ladder installation prices start from only $695.00. Attic ladder and 12sq meters of Attic storage start from only $1600.